After the Muslim terror attack in Toronto, Canada, the mayor of that city has come up with a solution for criminal evil; total disarmament. Tune in to hear the plan to make Canada even weaker than they have been. During our Brownells Bullet Points guns and gear segment, Professor Paul shares his recent experience with the Shockwave firearm and the SB Tactical brace. Also, don’t forget about The Edge program. We have another SOTG Homeroom for you from Crossbreed Holsters. How do you break in a leather holster? What does it really mean to “break in” a holster? We’re done for the public broadcasts for this week, but we’ve still got the Grad Program Bonus Hours! A Muslim terrorist opened fire on a restaurant in Toronto in a mass shooting that left two dead and 13 injured, before he too was eliminated. Witnesses say that the bearded terrorist, dressed all in black, opened fire in Greektown on Danforth, a popular area of the city full of restaurants and stores, at around 10pm on Sunday evening. Between 15 and 20 gunshots were heard. Police have confirmed that the terrorist was eliminated in a police shootout. Canada is often portrayed ? by filmmaker Michael Moore and others ? as a nation with common-sense gun control and fewer murders. Apparently that’s not enough for Toronto’s mayor, who called Monday for the total disarmament of the city ? saying nobody needs a gun ? in the wake of a gunman’s rampage through its Danforth district. 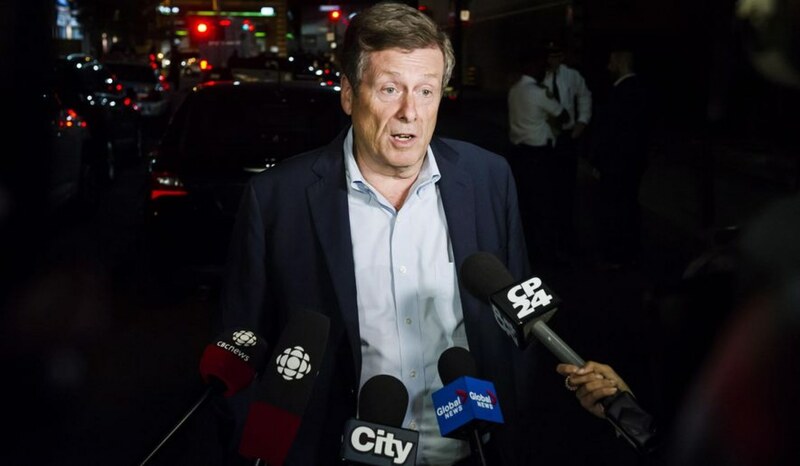 Mayor John Tory was cited in the National Post as not only calling the shooting that killed two people and wounded 13 others an “unspeakable” act, but adding that the city needs even tighter restrictions on guns.